Migraine is quite irritating and bothersome. In severe cases migraine headache might considerably reduce the efficiency and even incapacitate the sufferer for some time. In the year 1990, a case of nearly three years standing was brought to me personally by an allopathic doctor because he had no treatment for him. The person was a male in his late twenties and an engineer by profession. He used to get migraine attacks several times a day with each attack lasting for more than an hour. He could neither sleep at night nor could walk for 300 meters at a stretch. Physical exertion did not trigger the pain but was very troublesome for him. He had stopped taking breakfast because he simply could not eat in the morning. Having been disappointed by various treatments, he had started thinking of suicide when he was brought to me. 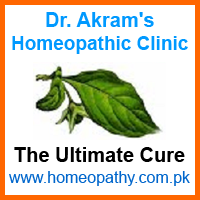 I started treating him homeopathically, which gave very encouraging results. Improving gradually he completely recovered and regained his health in about six months. His migraine never came back. That was the worst case of migraine that I have ever seen and treated. Not all cases aggravate to that extent and do not take that long to cure. Most of the risk associated with migraine is due to wrong treatment, unsuitable medicines or side effects of the medicines otherwise migraine does not affect the brain permanently. The effects are temporary, lasting only till the end of the attack. However, the person might feel general weakness once the attack is over. The person getting frequent attacks of migraine would obviously feel uncomfortable due to fear of getting an attack any time, which is likely to affect his general efficiency even when he has no headache. Such state would also need to be looked in to by the physician. It may not always be possible to prevent migraine but if you know what triggers or relieves your migraine attack, it would be a lot easier to manage the condition. Given below are some guidelines that might help you. Please read them carefully. The first thing to do is to find out your migraine trigger and keep a note of it. Once you are sure of it, avoid that item or condition, which is the best way to prevent the attack. Also try to find out what relieves the pain. It could be a particular posture, a food item or just rest. Remember that you are the best person to find your trigger as well as the reliever. Learn to relax. Relaxation does not mean the physical relaxation alone. It also includes mental relaxation, which is very important and is something that would come through regular practice. You can adopt any technique that suits you. Meditation and Yoga are good techniques but breath control is probably the easiest to begin with. Progressive muscular control by reverse counting method is yet another technique, which you may like to try and see if it makes the difference. By learning to relax, you would be able to manage not only your migraine but also many other health related issues. Always avoid over eating. Develop this habit whether you have migraine or not. If you are already suffering from migraine, do not over use any medicine. Try to learn about the side effects of the medicines you take so that you do not run into a problem more severe than migraine. Sleep well but do not over sleep. Try to understand the realities of life and try to be realistic as far as possible so that you don’t tax your nerves unnecessarily. We keep acquiring both positive and negative energies every day through various means. Learn to dissipate negative energies on regular basis. There are various techniques to do so, which you can find and pick the one that suits you best. And finally, whichever religion or faith system you belong to, try to follow the teachings. That will give you satisfaction from within and ultimately help you taking better control of your self.